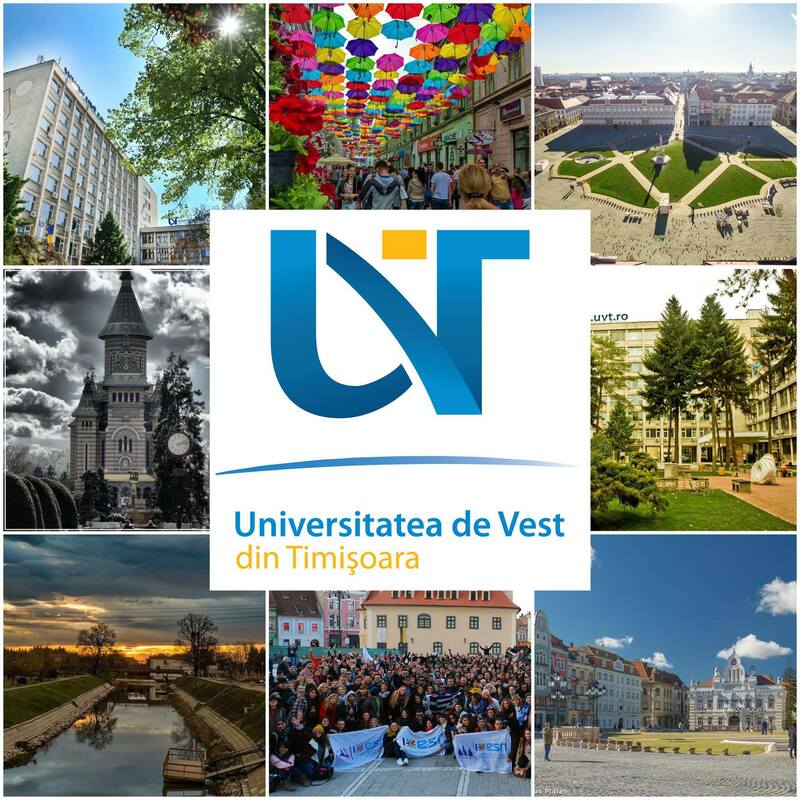 Universitatea de Vest din Timişoara/ West University of Timișoara is very pleased to announce its sixth edition of the Erasmus Staff Training Week: 15th - 19th of April 2019. Universitatea de Vest din Timisoara (UVT) is the main higher education and research center in Western Romania. It is a comprehensive university that fosters interdisciplinary education within its 11 Faculties: Arts and Design; Chemistry, Biology, Geography; Economics and Business Administration; Law; Letters, History and Theology; Mathematics and Computer Science; Music and Theatre; Physical Education and Sports; Physics; Political Sciences, Philosophy and Communication Sciences; Sociology and Psychology. Our Erasmus Staff Training Week targets both academic and administrative staff members from UVT’s partner universities interested in knowing more about us, as well as exploring the challenges and opportunities of the Erasmus+ Programme and the process of internationalization in the field of higher education in Europe and worldwide. The schedule of the week includes: presentation(s) of UVT and partner institutions, workshop(s) on internationalization of HEIs, job shadowing session for all participants in the event, networking events (city tour, coffe breaks, lunches and dinners, cultural and social activities). During the time spent together we will discuss various means and approaches to the process of internationalisation of higher-education institutions. Therefore, we would like to invite you all to share knowledge and good practices with us in Timişoara, the biggest city in the West of Romania. Should you be interested in participating in our Erasmus Staff Training Week, 6th edition 2019, please fill in the application form (available here ) by 1st of April 2019. Participation fee: 100 euros/ person– to be paid upon arrival. The participation fee includes: coffee breaks, lunches and dinners, according to the schedule. P.S. Photos from our previous edition are available on our Facebook page. Looking forward to meeting you in Timişoara!